WACO, Texas (AP) — Kamau Stokes scored 20 points and Big 12-leading Kansas State used a big run late to finally get past undermanned Baylor for a 70-63 victory Saturday night. The Wildcats (18-5, 8-2 Big 12) took the lead for good on a 3-pointer by Cartier Diarra with just over 6 minutes left, the start of an 11-0 run that included a 3-pointer by Stokes after his defensive rebound. Stokes later sealed the game with four consecutive free throws in the final 31 seconds. Barry Brown had 13 points and six assists for K-State, which is alone atop the Big 12 standings after No. 17 Iowa State (18-6, 7-4) lost at home to TCU earlier Saturday. Dean Wade had 12 points and Diarra 10. Baylor (15-8, 6-4), already without two players out for the season with injuries, was missing starting senior guards Makai Mason, its leading scorer, and King McClure. Mason (bruised foot) and McClure (knee) had both played in a loss Wednesday at Texas that snapped the Bears’ six-game winning streak. A 3-pointer by Brown with 3:20 left wrapped up the 11-0 run by the Wildcats, and was part of a bigger 15-2 spurt. Devonte Bandoo had 15 points to lead Baylor, including a late 3-pointer and then two free throws to get within 64-61 with 35 seconds left. But Stokes then made four free throws in eight seconds. Freddie Gillespie and Jared Butler each had 13 points for the Bears. 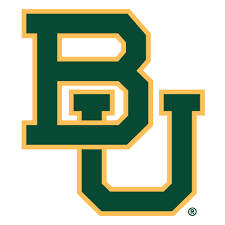 Baylor: Going into a week when the Bears could have gone to the top of the Big 12, they instead suffered more injuries and two losses. Baylor is home Monday night against Oklahoma. It’s the third time this season the Bears play two Big 12 games in three days.